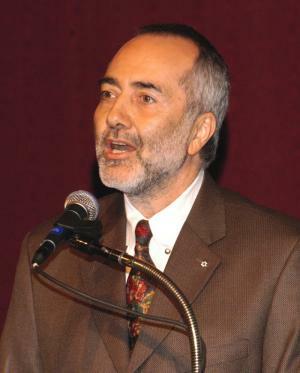 Raffi Cavoukian was born on 8th July 1948, in Cairo, Egypt, and is a Canadian singer-songwriter and author, best known for his children’s music. Raffi is also a producer and entrepreneur and the founder of the Centre for Child Honouring. His career started in 1974. Have you ever wondered how rich Raffi is, as of late 2016? According to authoritative sources, it has been estimated that Raffi’s net worth is as high as $10 million, an amount earned largely through his successful career in music. In addition to recording over 30 albums, Raffi has also published more than ten books, which have improved his wealth. Raffi was born into an Armenian family, and spent his first ten years in Egypt before they moved to Toronto, Canada in 1958. He has an older brother, Onnig Cavoukian, who is a famous portrait photographer, and a younger sister, Ann Cavoukian, a former Information and Privacy Commissioner of Ontario. Raffi played folk guitar in Toronto coffee houses, and later decided to hitchhike to Vancouver, British Columbia in order to further his music career. In 1975, Raffi recorded his debut album called “Good Luck Boy”, and by the end of the ‘70s he had released four more including “Adult Entertainment” in 1977. He was well-known for simple folk instrumentals with vocal and guitar, and was dubbed “the most popular children’s singer in the English-speaking world”. Raffi’s best known children’s songs have been “Baby Beluga”, “Bananaphone, “All I Really Need”, and “Down by the Bay”, and he has recorded more than 30 albums so far, but “Baby Beluga” (1980), “Evergreen Everblue” (1990), “Bananaphone” (1994), “Where We All Belong” (2003), and “Quiet Time” (2006) are the most successful. Raffi even made a break from recording children’s song in the mid-‘80s because of the short attention span from kids under three. Raffi made it to film as he starred in “A Young Children’s Concert with Raffi” (1984), “Raffi in Concert with the Rise and Shine Band” (1988), “Raffi on Broadway” (1993), and “Raffi Renaissance” (2007). Since 1988, Raffi has written and published eight children’s book and three adult’s books as well; he debuted with “Shake My Sillies Out” (1988), and then continued with “Spider on the Floor” (1996), “Wheels on the Bus” (1998), “Five Little Ducks” (1999), and “If You’re Happy and You Know It” (2005), among others. Raffi also wrote “The Life of a Children’s Troubadour” (2000), “Child Honouring: How to Turn this World Around” (2006), and “Lightweb Darkweb: Three Reasons to Reform Social Media Before it Re-Forms Us” (2013). All have contributed to his net worth. Raffi has received numerous honours and awards, including Order of Canada in 1983, Order of British Columbia in 2001, Special Achievement Award at the SOCAN Awards in Toronto in 2000, and Fred Rogers Integrity Award in 2006. Regarding his personal life, Raffi was married Deborah Pike, a kindergarten teacher, in the ‘80s, which ended in divorce in 1992; ironically he has no children. It is known that he currently resides in Saltspring Island near Victoria, British Columbia, since 2008. 1 He was named after the poet Raffi. 2 Despite being known as a children's entertainer, he never had any children of his own. The Doorman 2007 performer: "The More We Get Together"
AMV Hell 3: The Motion Picture 2005 performer: "Banana Phone"
The Family Man 2000 performer: "Going To The Zoo"
FernGully: The Last Rainforest 1992 performer: "Raining Like Magic" / writer: "Raining Like Magic"